Creative: 3D Zebra Crossing - Something New Everyday! 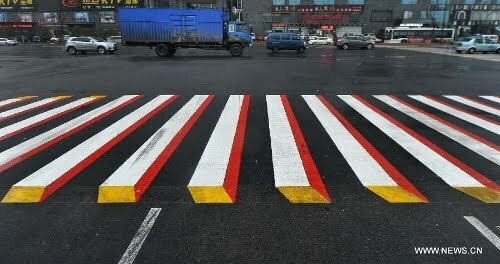 very innovative idea of painting Zebra crossing in 3D. It gives illusion and alerts Speeding car drivers to slow down as it appears like Road Blockers at first sight.